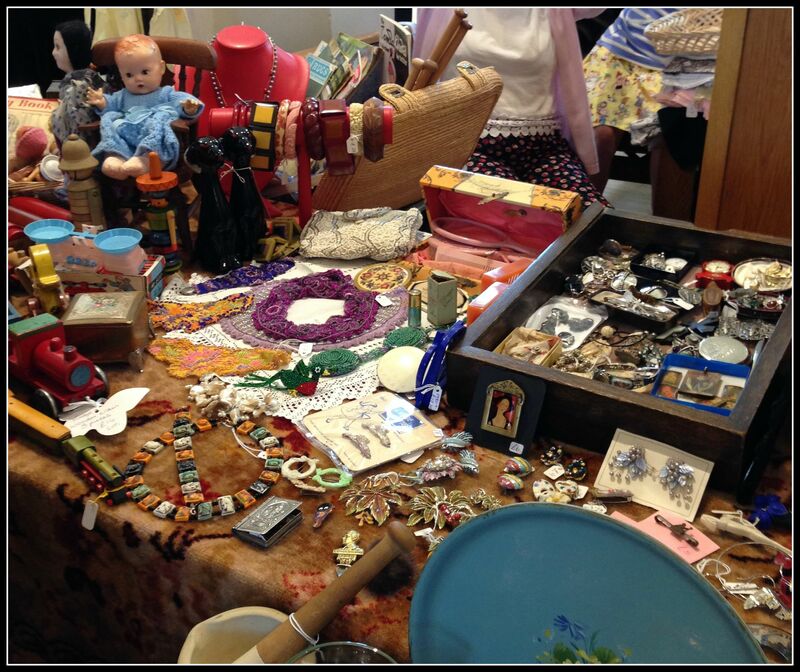 We had a spectacular July fair with an amazing selection of stalls – These were some of the lovely offerings available on the day and you can expect more lovely goodies like this at the 12 September 2015 fair. 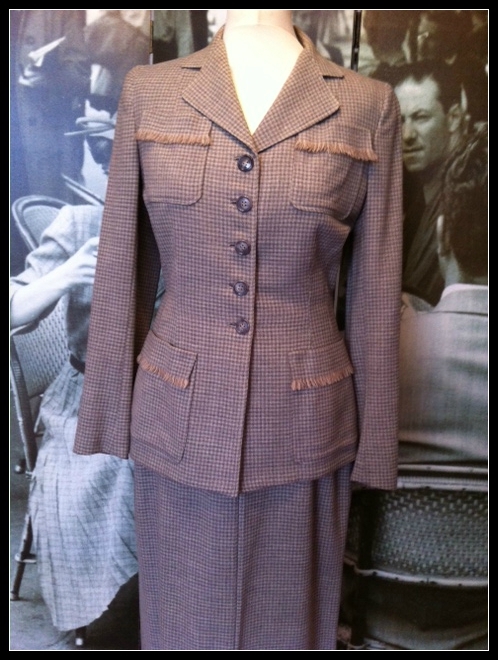 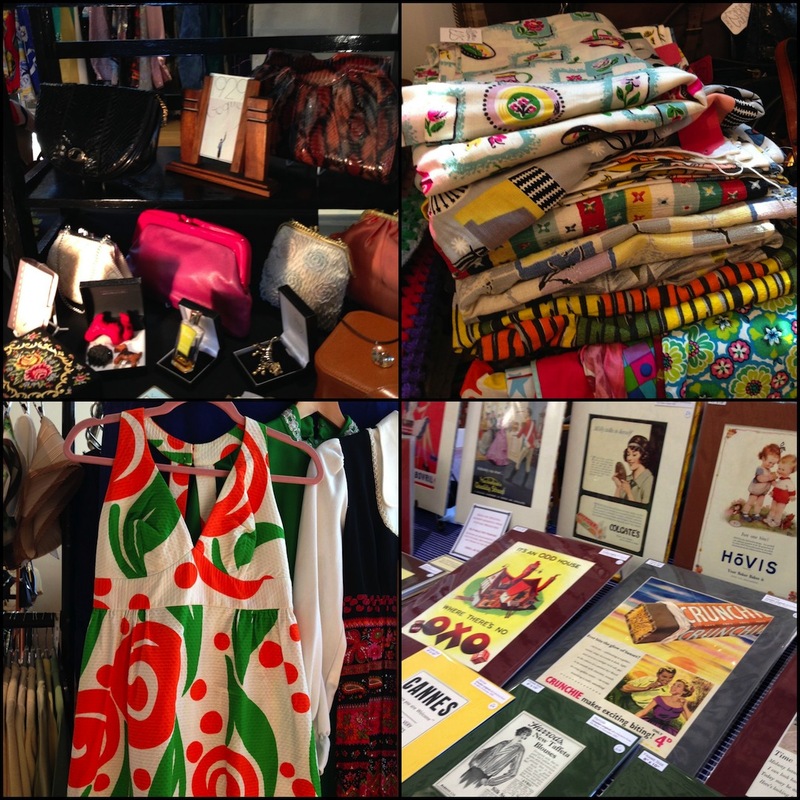 For September Andy and April from RazzleDazzle will be bringing their highly sought after 1950s fashion and accessories including a selection of fantastic suits. 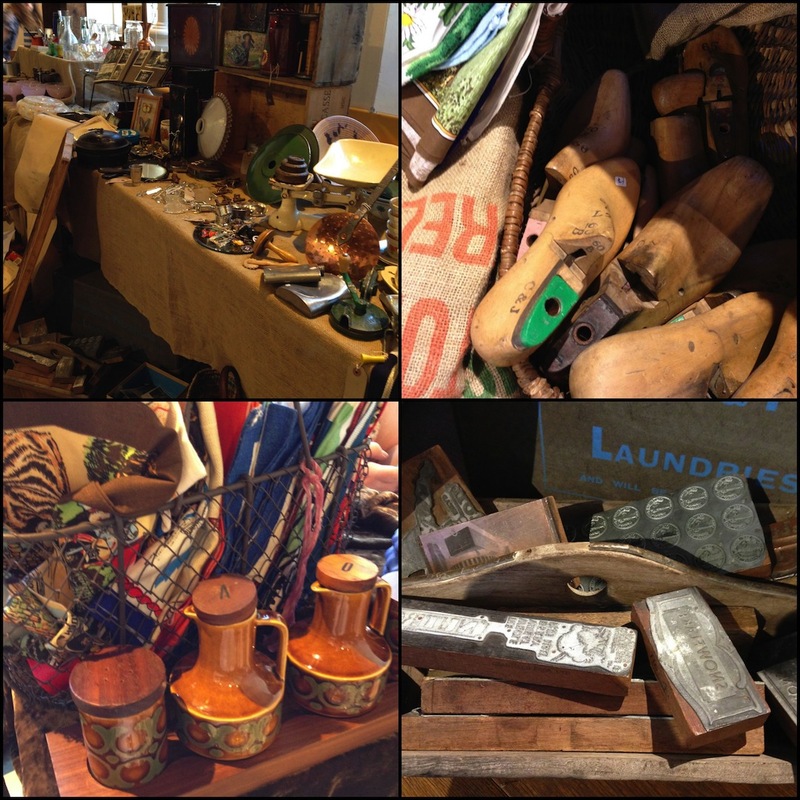 David & Frances from Frothandlaws selling their quickly snapped up homewares, ephemera, books and cards. 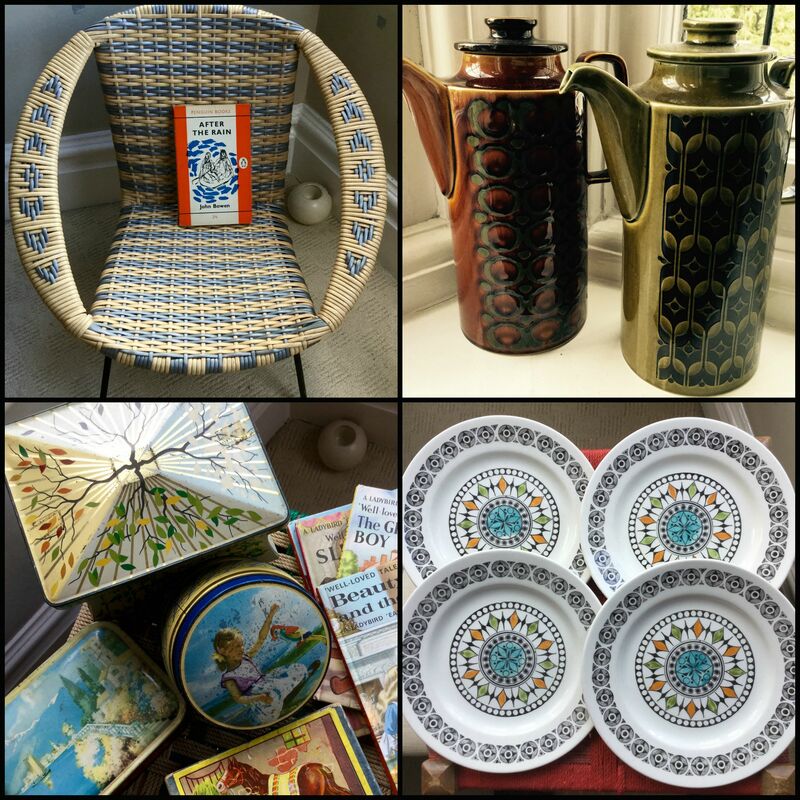 And of course they always bring some Clarice Cliff! 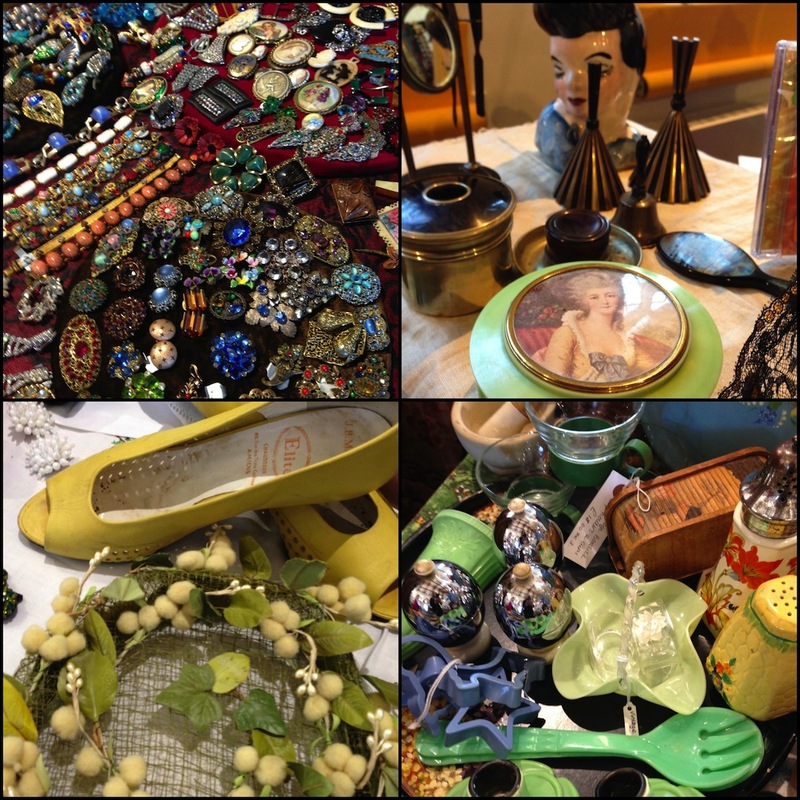 Lyn & Kerry bring an eclectic range of vintage toys, jewellery, books, compacts, the unusual and not forgotten trinkets from yesteryear. 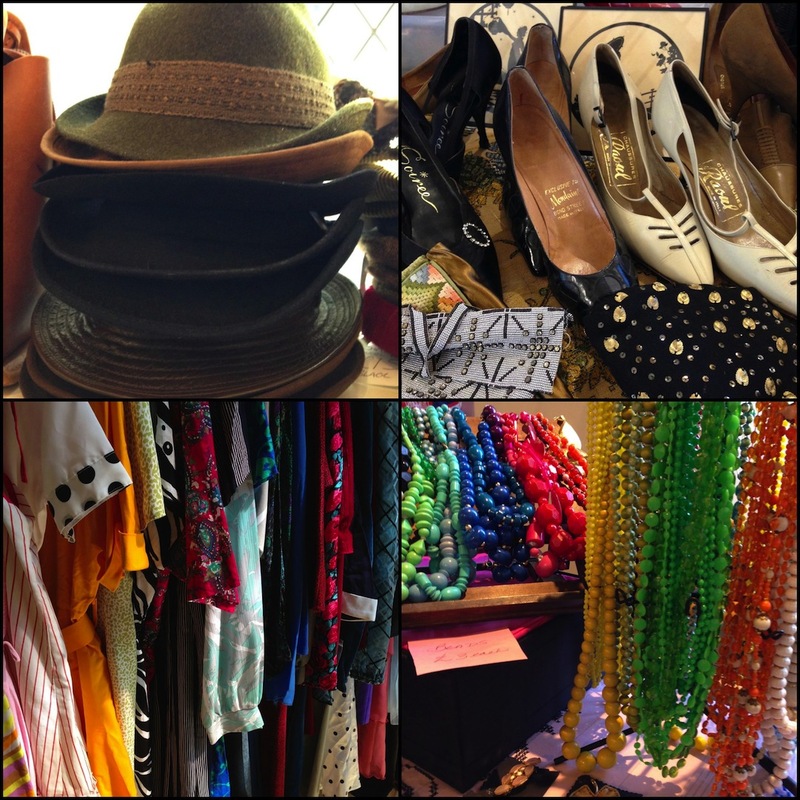 I always find a delightful treat on their stall. 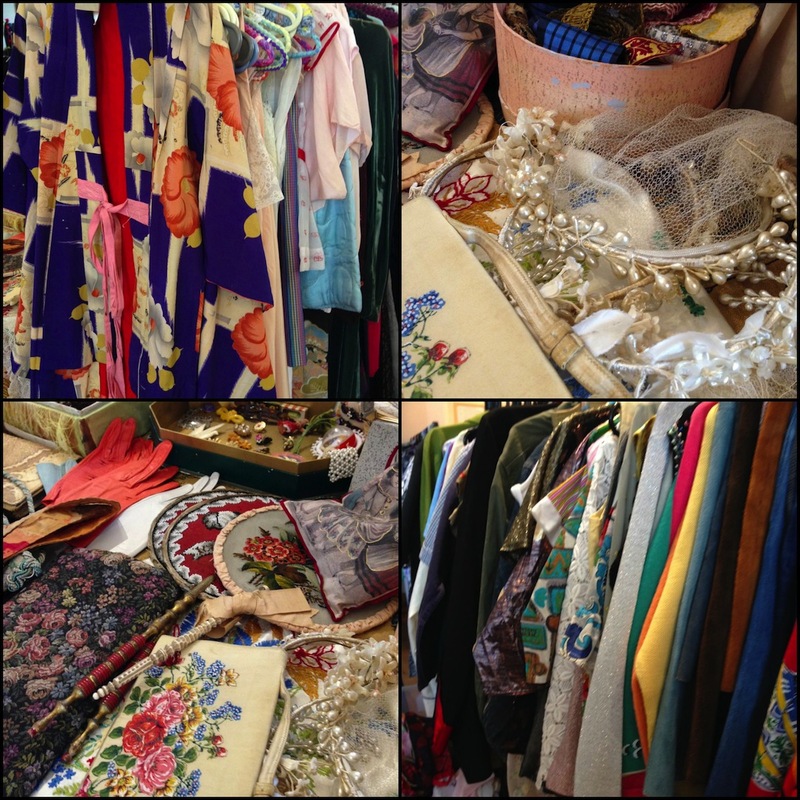 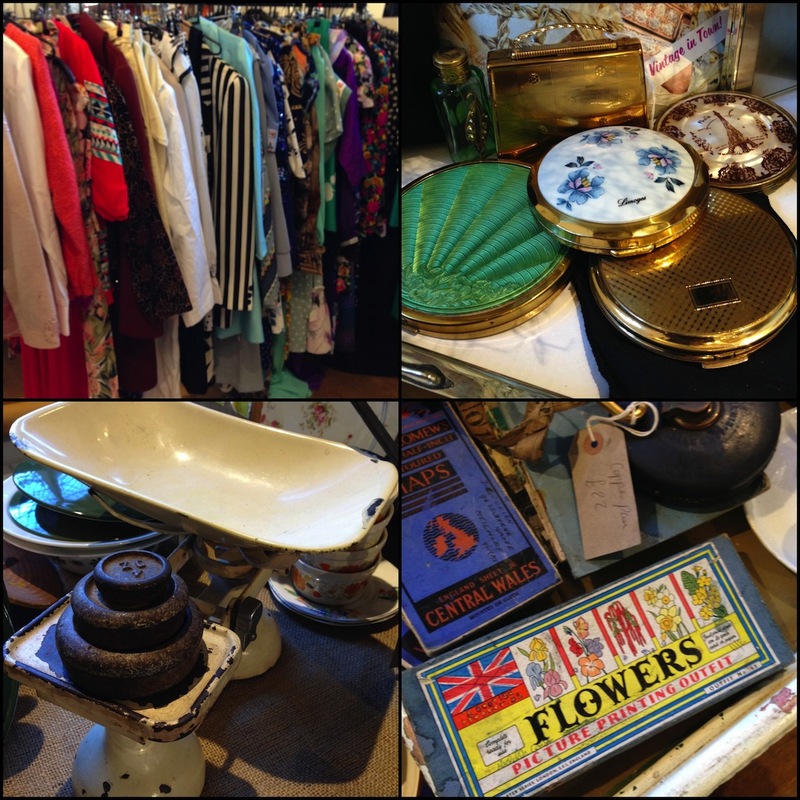 They also bring their vintage fashion so certainly a stall to visit. 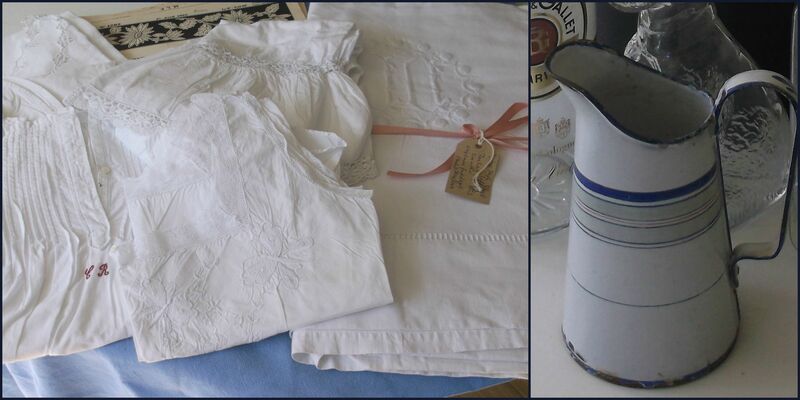 Susan will be bringing a fabulous selection of linen, haberdashery and Brocante items from France. 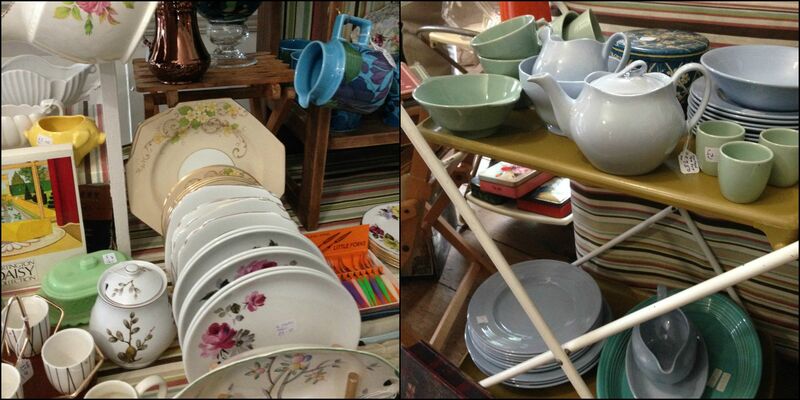 And we also welcome Barry & Tom selling their very affordable kitchenware, pictures and other household delights. 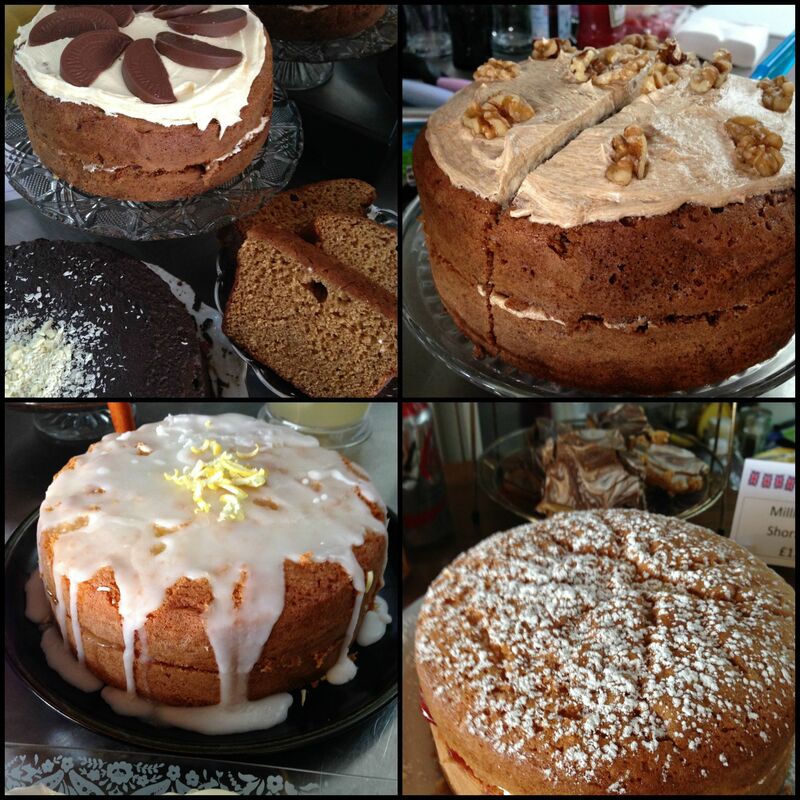 The Great British Tearoom are back with their delicious cakes, lunches and other tasty treats and will be in Hall 2.